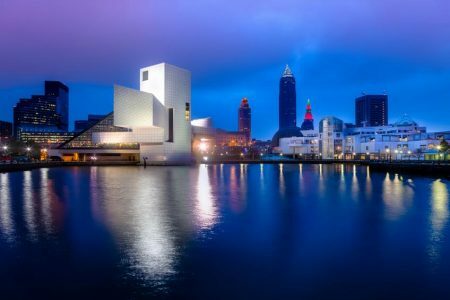 Cleveland is a city steeped in history, with various cultures coming together to help create its fascinating identity. To better understand the city, Cleveland’s Center for Public History + Digital Humanities has created Cleveland Historical, a free mobile app featuring virtual historical tours of the city. Each tour is focused on a specific era and facet of Cleveland’s history. Severance Hall. The permanent home of the Cleveland Orchestra since 1929. National Cleveland-Style Polka Hall of Fame Museum. Houses artifacts and memorabilia tracing the history of the music since the late 19th century. Leo’s Casino. Opened in 1963, it was a key stop for touring Motown artists and considered "one of the most racially integrated" nightspots in Cleveland at that time. Rock and Roll Hall of Fame. Opened in 1995, this museum is testament to the city’s contribution to the growth of rock and roll starting in the 1950s. Playhouse Square. Built in the early 1920s, this five-theater complex is the second largest performing arts complex in the country after Lincoln Center in New York. Cleveland Play House. Now a state-of-the-art complex, it started at a farmhouse turned theater at Euclid Avenue. Cleveland Museum of Art. Opened to the public in 1916, it’s one of the world’s premier art museums. Tiedemann House. Rumored to be a haunted house, this High Victorian eclectic-style house was built in the 1880s by a German immigrant to serve as temporary shelter for other German immigrants. Shrine of Saint Stanislaus. This Catholic Church built in the 1890s reflects the history of Cleveland’s Polish community. Cleveland Public Library. Completed in 1925 in the Beaux Arts neoclassical style, it reflects the history of the city itself. Soldiers and Sailors Monument. Found in downtown Cleveland, this 125-feet monument was dedicated in 1894 to honor the 10,000 Cuyahoga county soldiers who fought for the Union during the war. 7th Ohio Volunteer Infantry monument. Found in Woodland Cemetery, this is one of the many monuments built around the country to honor the 7th Ohio Volunteer Infantry or 7th OVI, who bravely fought many battles during the Civil War. Grays Armory. This was the home of the Cleveland Grays, a local militia who volunteered as Union soldiers and later served in other wars, including the Spanish-American War and World War I. Part of Gray’s Armory is now a museum, and the Cleveland Grays is now an organization dedicated to preserving Gray’s Armory and supporting the men and women of the Armed Forces.